Is there anything worse than spending $60,000+ on a vehicle with that sweet, leathery new-car fragrance, only to have your children leave a smelly bag of fries under a seat for a month or get them wet because you left the sunroof open, or have a smoker kill them? Even if it is not an odor inducing event like above, quality leather seat automobile hides are also treated with chemicals and colorings that can produce a strong scent as they age and with so much use leather’s grain can really “soak” up strong smells, such as sweat, perfume, mildew in an auto, truck, SUV, limo, or RV. Although leather is a strong and very durable material, it is easily stained and more difficult to clean than natural or synthetic fibers. 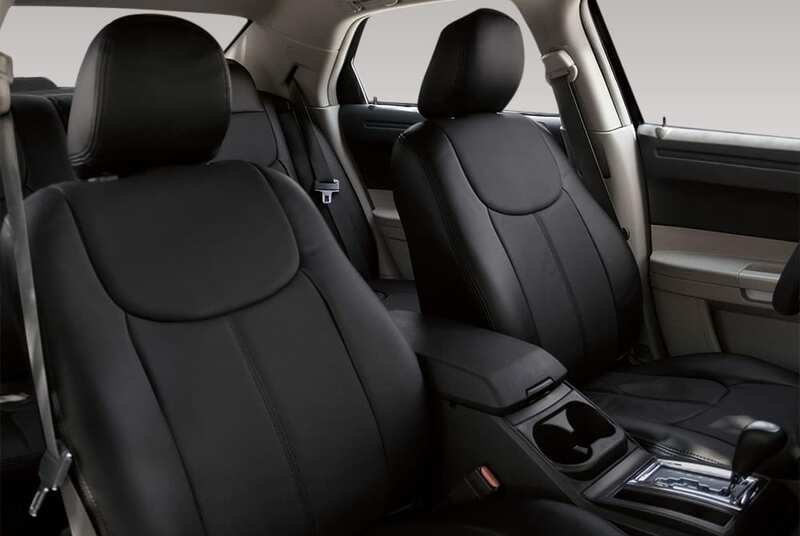 Leather seats can sustain real damage to the dyes as they can be easily rubbed off or discolored – all combined can leave luxury car owners who have bad leather odor with a perplexing and expensive problem. If you lease the vehicle the dealership can really add up the turn-back charges with any leather odor repair seat damage. Why Cleaning Leather Seats with Odor Problems is so Troublesome. First of all, leather is expensive so there is a hesitancy and frustration at having to actually find true leather odor removal. Second, everyone fears the recriminations at themselves or even hired trained “cleaners” if the product(s) used do not cure the issue or leave another bad smell or worse – stain or discolor the leather. Why is a leather interior so pricey anyway? Not to be morbid, though you would think that leather is basically almost a free by product of all the beef industry products, including the national hamburger chains like McDonalds, Five Guys, and Burger King. Add in all the grocery stores and steak houses and you have a lot of inventory. Doesn’t a large supply usually imply lower prices? Well here is the rub. There are hundreds of regulations for the folks working in the hide industry. The massive regulations for the tanners and the cost of production with increased demand has had an inverse effect and prices have gone way up. The only good news is because of these regulations there is not as much pollution being dumped in to the watershed, streams, and rivers. The down side is the additional cost to your customers for their leather as there are only a few quality tanneries left the USA, it is widely thought that all the EPA regulations are not the real driving force behind leather pricing. From what is understood from tanners and distributors here and overseas, the above mentioned shortage of top grain hides coupled with the huge growing middle-class markets in China and India are driving prices ever higher. And with the price of oil and higher transportation costs and you have the perfect storm for keeping even poor quality leather seats still expensive. Remove Leather Odor from Leather Seats? So what is the best way to ensure you are able to enjoy your vehicle’s leather interior and at the same time have the expensive look protected when you have an odor removal mission that you are sure is coming from the leather seats? There are many reasons people are disappointed with the retail and detail solutions on the market now. The claim to fame best leather odor removal products like a Maguire’s cleaner and conditioner, Armor All and Turtle wax have no real odor inhibitors or counteractants for leather odor problems. The products and time recommendations on application and removal are only recommended specifics, if you problem is food spill that has penetrated way down in the hide, you can never be sure your reached the bacteria causing the odor and with the outside and inside interior air temperature going from hot to cold, this can impede any treatment you apply to the leather seats. YIKES. If read online about trying the oxidizing method, you will only read about bad experiences. The other issue in late model vehicles with leather seats are the perforations for the cool / heating of the seats. Spill milk in there or have a smoke issue and the cushions under the leather are now infected. No cleaner will penetrate a million tiny holes! Master Odor Removal are experts at leather odor removal. How is our process able to do what other products cannot? Easy. We use real science. Our Two-Step Odor Removal Process has a solvent-based, thermal fogging product for treating odors in leather seats. Our second-step consists of highly purified solvents and odor control essential oils. These substances generate a vapor barrier that prevent malodors from causing any more stench including finding their way back into the interior atmosphere of your vehicle. Our unique fogging process uses heat to produce micron size particles. Particles of this size have several advantages: They have extremely large surface area that adsorbs contaminants. Particles are sufficiently small to enter the tiny crevices on every surface in the auto, including the ventilated leather where the odor exists. Micron size particles remain suspended in the air so they have time to interact with airborne contaminants. Our patent-pending service is non-staining and non-toxic and will not change the natural smell of the leather seats! Give us a ring today, even if we do not have a location near you for leather seat odor removal, we are happy to give free advice or your leather odor removal!